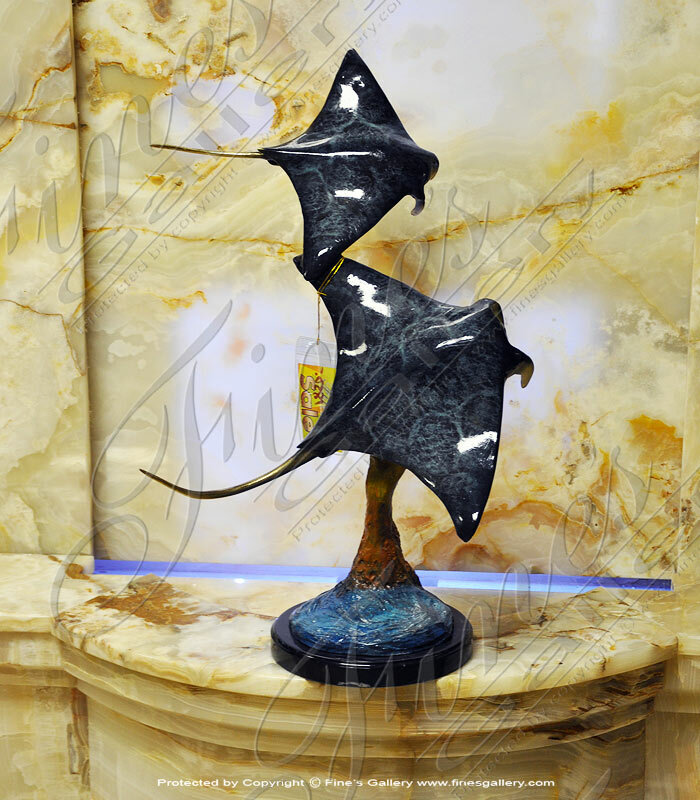 Beautiful bronze expertly crafted and finished depicting 2 string rays gliding through the water, mounted on a marble base. If you require additional information for this product please call 1-866-860-1710 and talk with a sales representative at anytime. 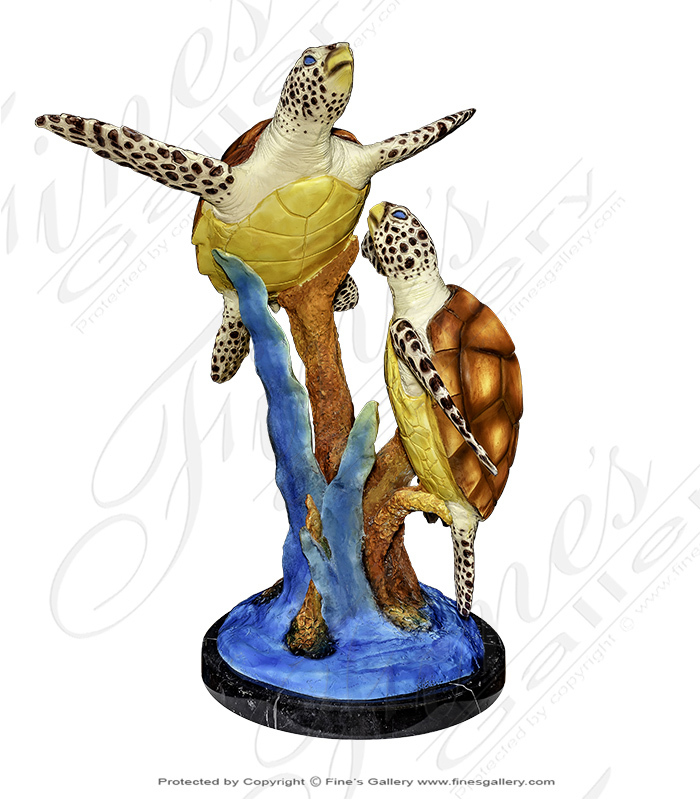 Vibrant Bronze Sea Turtles. 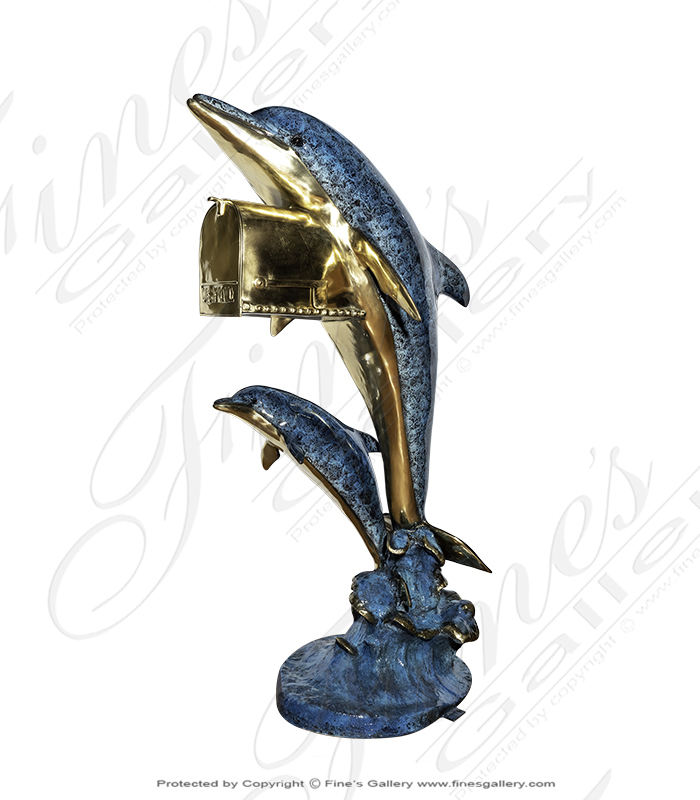 A brilliant colorful bronze sculpture. 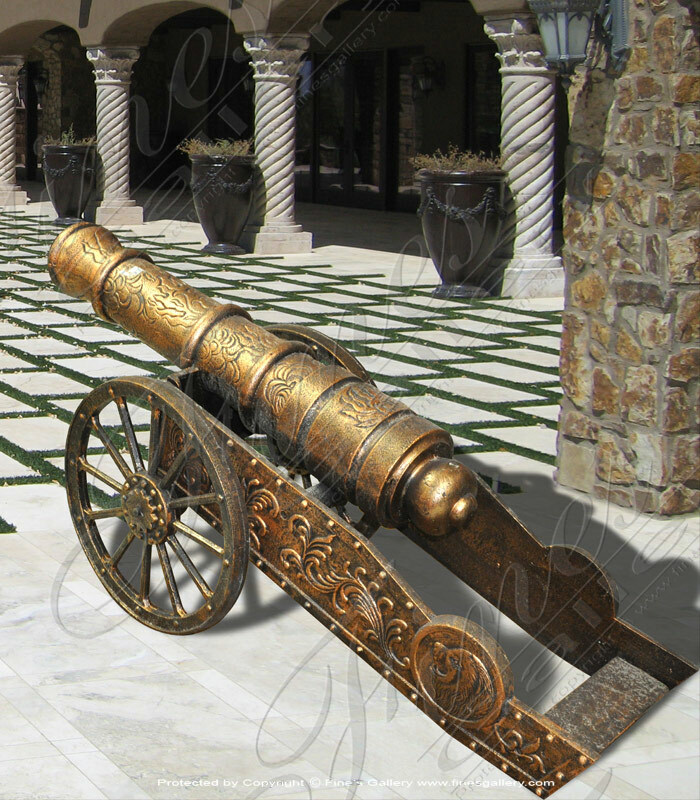 This is the perfect addition to your tropical decor. Need a perfect pedestal to set this one? 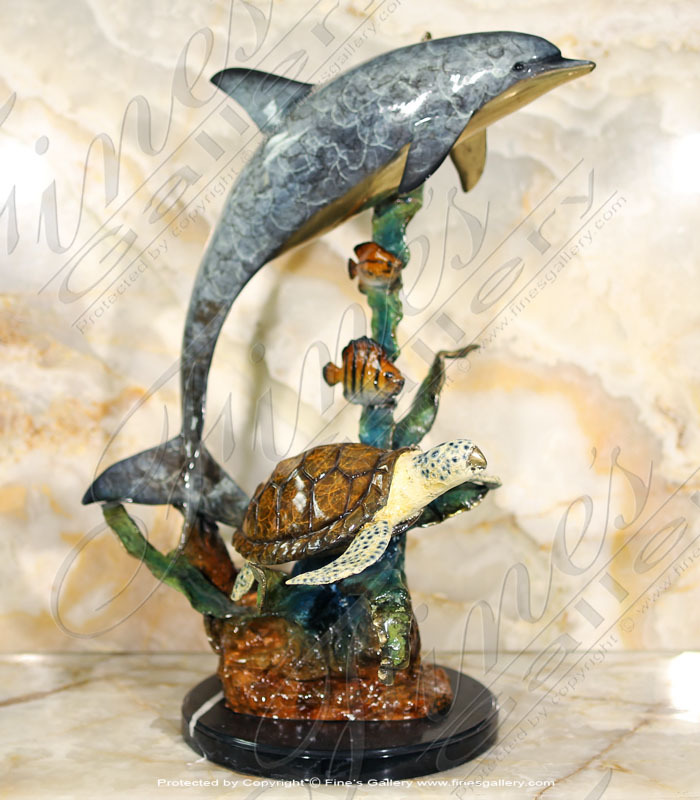 Select from our vast selection of marble and translucent onyx art bases! 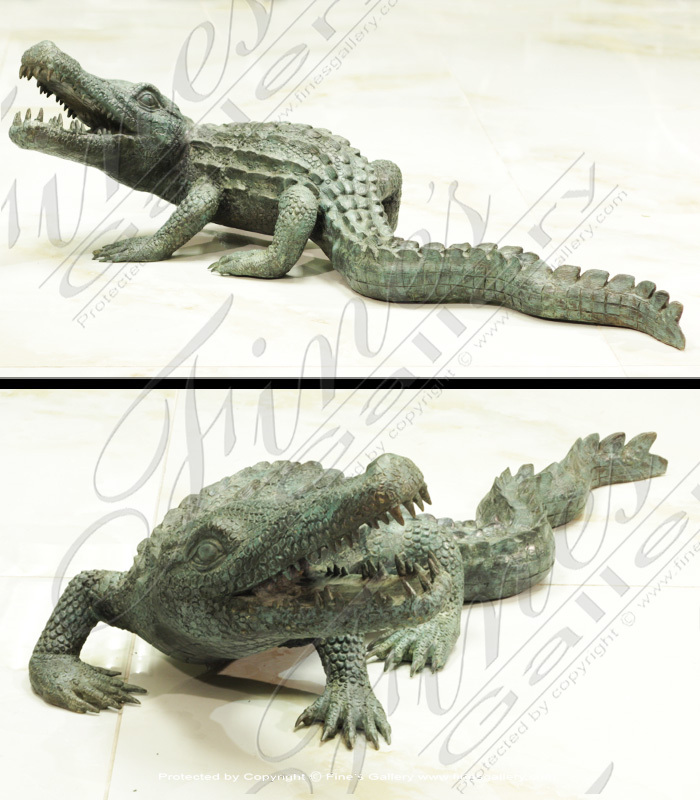 Beautifully bronze expertly crafted and finished depicting an alligator. If you require additional information for this product please call 1-866-860-1710 and talk with a sales representative at anytime. 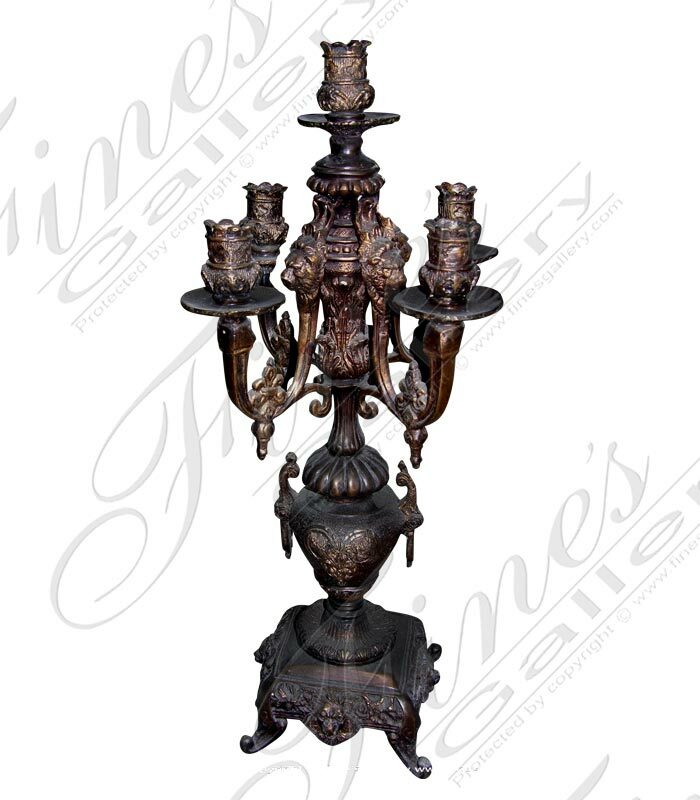 This gorgeous candelabra is sculpted from dark bronze with four lion head branches and ornate artwork throughout. 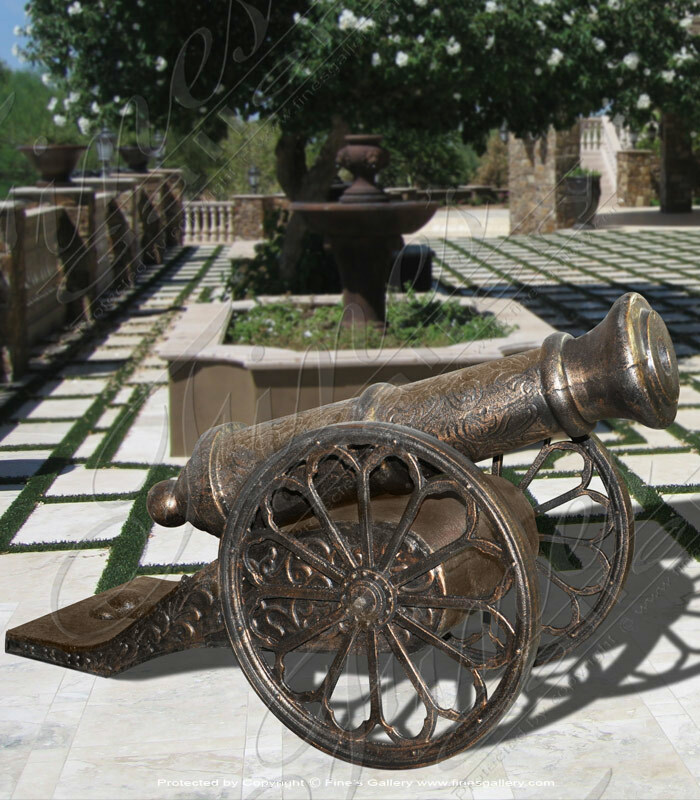 This antique style light source will create a magnificent centerpiece, infusing the surroundings with intimate ambiance. 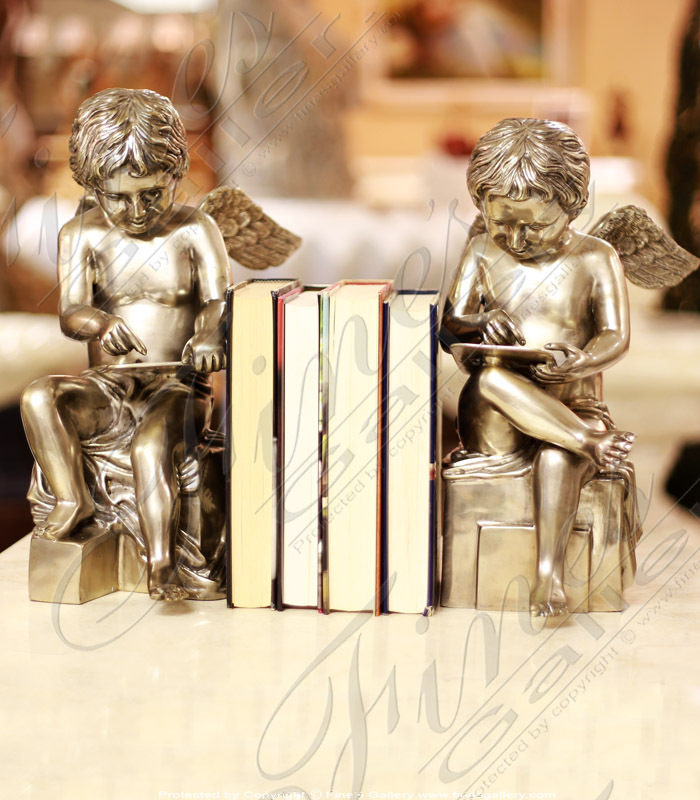 Pair of beautifully crafted and finished bronze bookends or statues depicting cherubs writing on tablets. Price is for the pair! 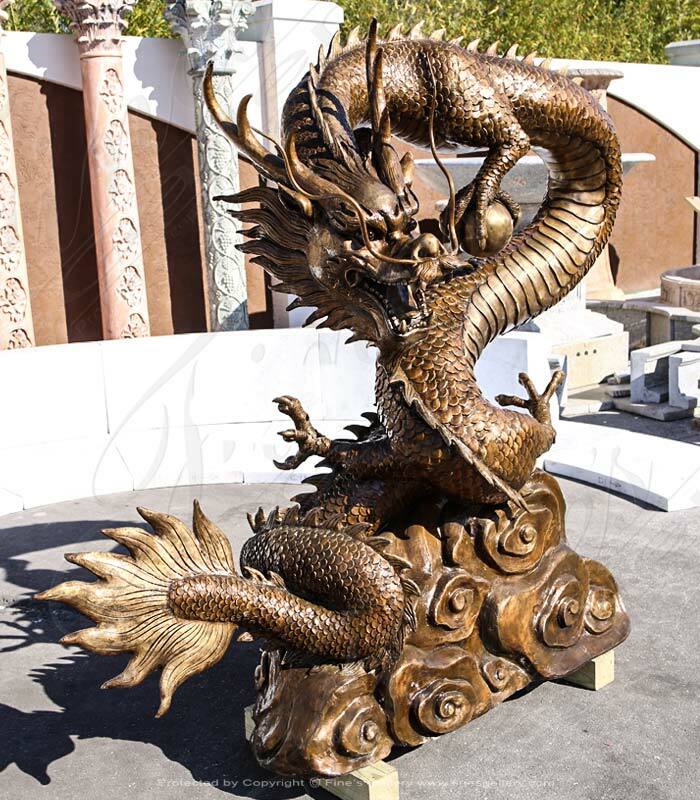 Large Bronze Chinese Dragon. 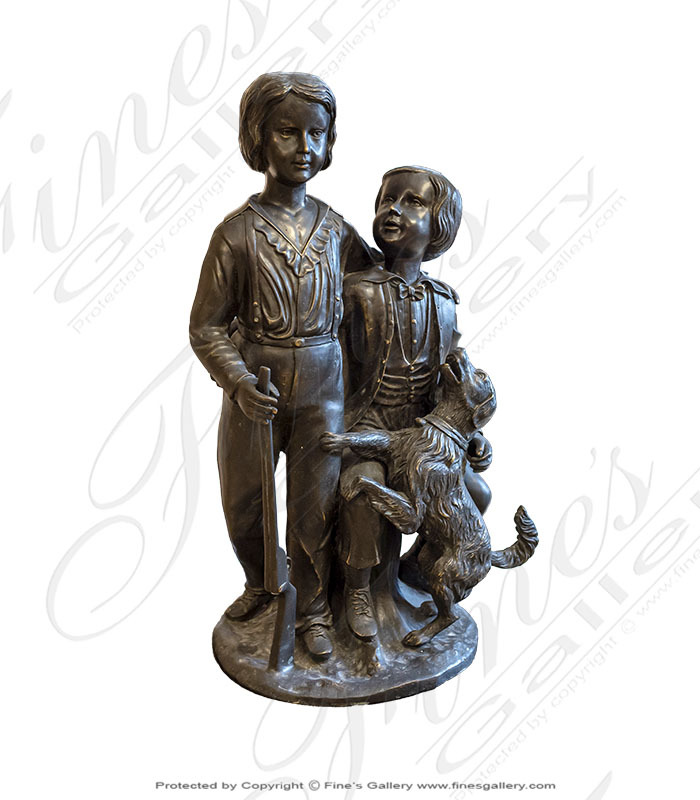 This massive bronze sculpture is finished in a brilliant shiny classic bronze finish. 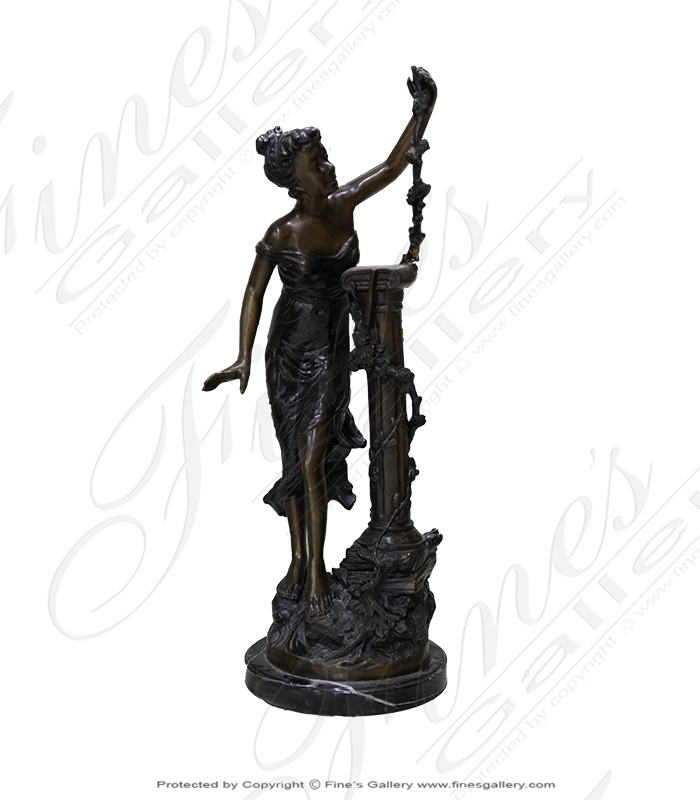 Standing at almost 6 ft tall, this majestic statue is magnificent in size and ornate detail.